We often talk about youth representing our world’s future. But, too often, when discussing challenges facing young people, we exclude them from the conversations and talk about what we can do for them, not with them. One of the major challenges facing the 1.2 billion people between the ages of 15-24 is youth unemployment. It is estimated that 350 million young people are “opportunity youth,” meaning they are under or unemployed and not in school. Many organizations are doing important work to tackle this challenge, but surprisingly few put youth at the forefront of their approach. 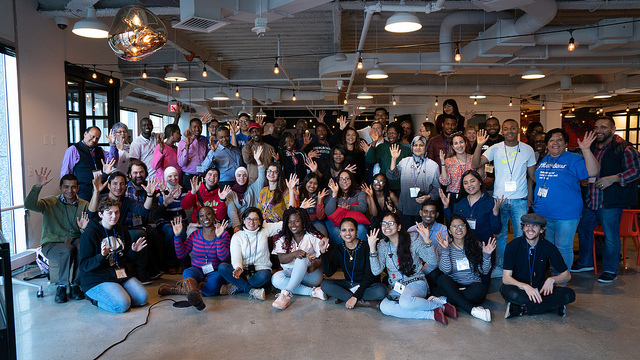 We were pleased to be a part of a convening this month hosted by the new Global Opportunity Youth Initiative (GOYI) that bucked this trend and centered first and foremost on amplifying youth voice. 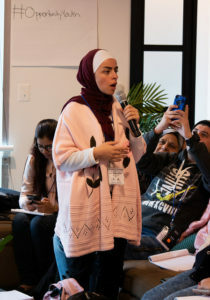 Over 20 youth leaders from 12 countries—including Sharell from West Virginia, quoted above – gathered in Philadelphia, Pennsylvania for a week of lively discussions, problem solving, and contributing to the GOYI’s mission of working in partnership with communities around the globe to accelerate economic prospects for opportunity youth. Youth unemployment happens for various reasons and shows itself in different ways across different communities; thus, solutions must be specific to the contexts in which they operate. Listen to Wanner’s story, for instance. Wanner is from Cali, Colombia, and attended the Global Opportunity Youth Convening last week. Thanks to training he received through The Alvaralice Foundation Wanner now works in customer service and merchandising. But most of his peers in Cali do not share his experience of moving smoothly from training to employment . He spoke extensively about how opposing gangs in the community stir up conflict and create “invisible barriers” that prevent youth from traveling to certain parts of the city. In his environment, a training center – often a useful tool in helping young people gain important skills – may not be the best solution for tackling youth unemployment, as some people could not cross these invisible lines to get to the center. Or, hear the stories of three young people from Canada’s Nisichawayasihk Cree Nation who attended the convening. Their challenges to full employment stem from decades of discrimination and racism, and require solutions that address the deep-rooted trauma their communities have experienced. Helping young people in these communities gain new skills is important, but it will not address the underlying issues that prevent them from gaining employment. While common solutions like training programs, apprenticeships, and increasing access to education can certainly help youth, these stories highlight the reality that no one cookie-cutter solution will work for all communities.Place-based solutions, on the other hand—like those that GOYI embraces can drive more effective change by considering the local context and adequately accounting for the experiences of the individuals who live there. It sounds obvious, but it’s often neglected: no one knows better about the unique challenges their communities face than the people who spend every day there. Youth leaders participating in the convening said they face obstacles beyond the challenge of getting a job. One young woman from Mexico talked about the organized crime that plagued her home community. Two youth leaders from the UK both had grown up in the foster care system. A woman from Haiti spoke about dropping out of secondary school, as her family was unable to afford the school fees. A man from India recounted the struggles he faced trying to provide for his entire family after his father died. Many of the 24 youth delegates who gathered at the convening in Philadelphia had faced immense hardships throughout their lives. But what struck everyone in the room was not these youths’ struggles, but their resilience. Unless prompted, they spoke not of their challenges, but of their dreams for the future. They focused on how what they were learning at the convening could help their communities. Even in spending time exploring Philadelphia, they set aside time to buy small gifts for their loved ones back home. When we view youth who have experienced hardships as victims, we undermine their ability to overcome. We can learn from their challenges, but we can only do that if we give them a seat at the table as leaders. Too many initiatives ignore that youth can – and want to – make change. In building the Global Opportunity Youth Initiative (GOYI), we are trying to do things differently. Young people are central to our global change effort from design to execution, as we seek to transform the narrative around “opportunity youth” ‑ those young people who are out of school, unemployed, and working in informal jobs. We are emphasizing their assets and capacity to contribute positively to society and their communities – not just the daunting challenges they face. One youth leader at our convening, Mercy from South Africa, captured this optimism best when she told her peers on the last day of the convening: “I am excited to go back and make a change in my community.” All the youth delegates shared this excitement, expressing the change they could make once they got back home. It was infectious, invigorating. And it is exactly the energy needed to take on a global crisis. 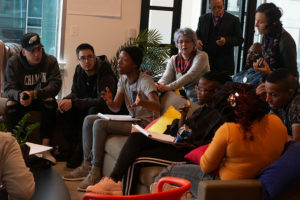 GOYI welcomes conversations with interested place-based actors and funders to explore partnering to realize our vision for bold, community-led change for youth. 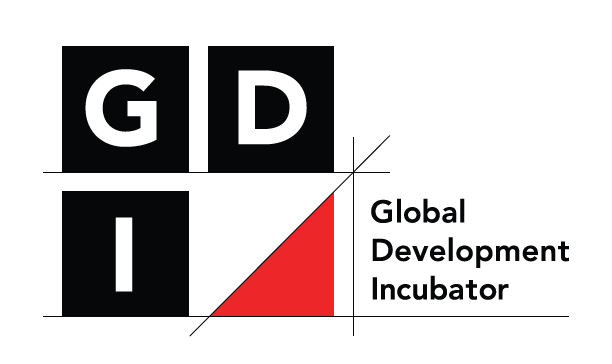 The initiative is being developed by the Aspen Institute’s Forum for Community Solutions, the Global Development Incubator (GDI), YouthBuild International, with funding from Prudential.